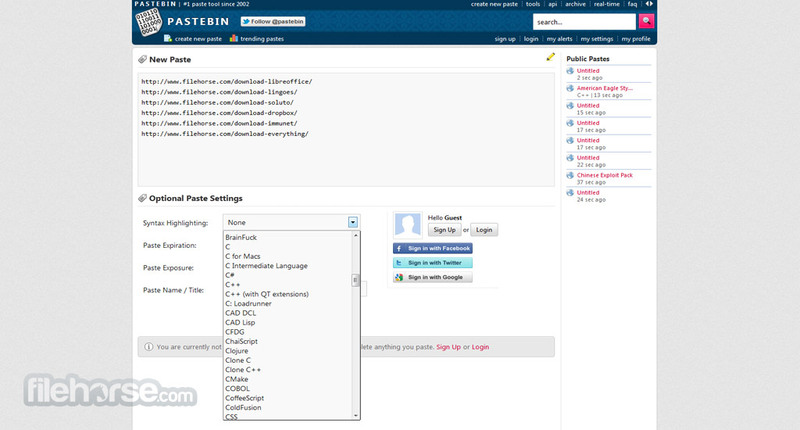 Pastebin is one of the most popular online services for uploading ad hosting text snippets and online paste tool. This unique feature is usually very popular with the programmers, where little pieces of source code need to be quickly published for public viewing. Also, many users of various real-time chat services have embraced pastebin as a way to quickly post large amounts of text, and reserve chat regular chat flow without large texts that get in the way. Such tradition can now be found on Twitter and IRC. If you are in need for streamlined text sharing service, or you feel that sharing via email is cumbersome and slow, try pastebin. You will not be disappointed. Great online paste tool! 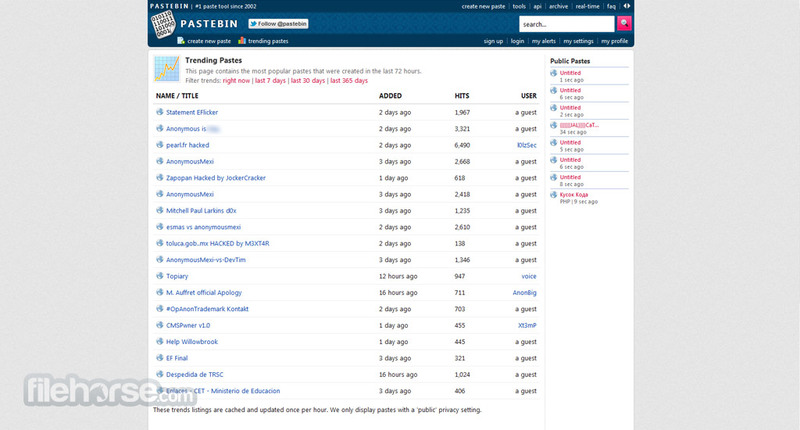 Pastebin Review is a website where you can store any text online for easy sharing. The website is mainly used by programmers to store pieces of sources code or configuration information, but anyone is more than welcome to paste any type of text. The idea behind the site is to make it more convenient for people to share large amounts of text online. Folders are only available to PRO users. When you create a new paste, simply select the folder where you want the past to be posted in. If you click the + symbol, you can also create a new folder, and the paste will then be placed into that folder. When editing a paste you can move/remove a paste from a folder. Great online paste tool! If you create a public paste (public by default), your paste will show up for everybody in the menu on the right and on the archive pages. You can also create unlisted pastes, these items will be invisible for others unless you share your paste link. 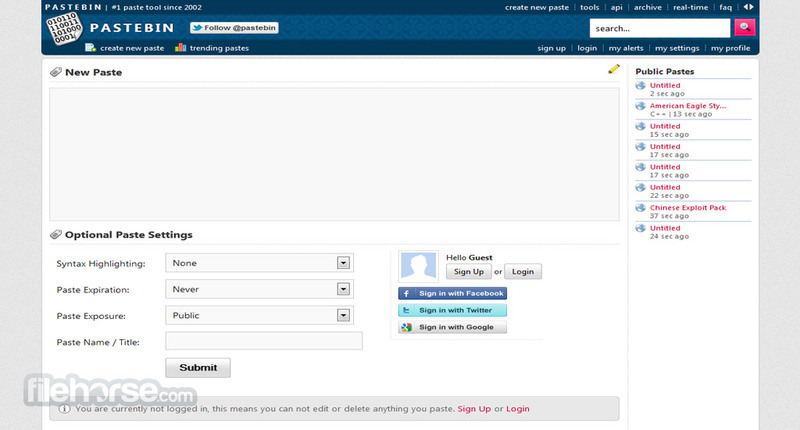 If you are a member of Pastebin you can also create private pastes. These items can only be viewed by you when you are logged in and are therefor password protected. Search engines will only index public pastes.